Dean Boyd | What Are Some Of The Main Causes Of Car Accidents In Texas? What Are Some Of The Main Causes Of Car Accidents In Texas? 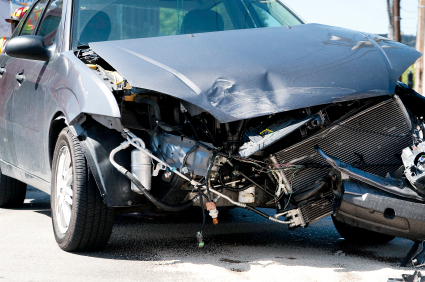 To get a better understanding of car accidents that take place in Texas, it helps to have a better perspective on the common causes of past wrecks. Investigating car accident information can help you know what situations to avoid on the road to be safer on your travels. The following details some of the main causes of car accidents in Texas and what you can do after a wreck. TxDOT concluded the data provided represents the number of car accidents that have occurred with at least one driver reportedly contributing to the collision. Some crashes had multiple contributing factors as well, while others had none. There are other potential causes of car accidents in addition to the leading causes listed above. Some of them stem from driver negligence, while others lie outside the realm of driver control. Some of the less common causes include failure to yield at a private drive, being under the influence of alcohol or drugs, and animals being on the road. Cell phone use, having defective or no lights, and broken steering mechanisms, tires, or trailer hitches also cause many accidents in Texas. Vehicles that are disabled while in traffic lanes, driver disregard of construction warning signs, disregard of traffic lights, and distractions inside the vehicle are other causes. Looking at the numbers provided, you can see that being distracted while driving is the leading factor for car accidents in the state of Texas. Texting while driving is one of the worst distractions there is. It occupies your eyes, hands, and even your mind, all things a driver needs to stay alert. Any form of distraction will drastically increase your chances of having a car accident. By reducing your reaction time, you also have a higher possibility of making the accident worse. If you were involved in a car wreck, more than likely you want those at fault to be held responsible. First, however, you must determine what caused the car accident. This is where hiring a quality car accident attorney can make all the difference. These professionals have the resources to investigate and determine the true cause(s) of a car wreck. Reconstructing the scene is just one of the valuable tools accident lawyers can use to showcase contributing factors that ultimately led to the wreck in question. Once cause has been determined by all parties, including the authorities, you can have a better idea of what happened to cause the accident. If you are filing a personal injury lawsuit, this information can be vital to the results you see. If you have been hurt in a car wreck in Texas, contact Dean Boyd today. You can call us at (806) 242-3333 or Contact Us by email to learn more about our Services. You can also visit our office at 4423 SW 45th Ave in Amarillo, Texas or 5012 50th St #103 in Lubbock, Texas to get help with your claim.